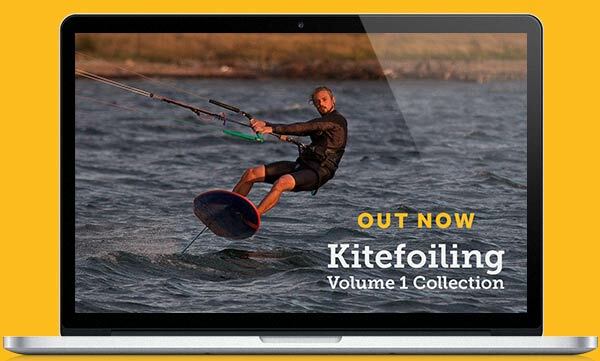 Anyone who has seen the Progression Instagram account will know that foiling is taking up a big part of my life at the moment – both on the water and off, as I get closer to finishing the first videos to be released as part of the Kitefoiling Volume 1 Collection (they are now out and you can start watching them today!). It’s been amazing the amount of insight that has come from making these videos and all the discussion I’ve had with Danny Morrice (my partner in crime in Progression Live Coaching, more on that later) as we drove the long boring road from Cape Town to Langebaan last month. Foiling is coming for everyone! It’s getting easier to learn all the time and I think Progression will have its part to play with clear concise coaching, illustrating the easiest ways to progress. 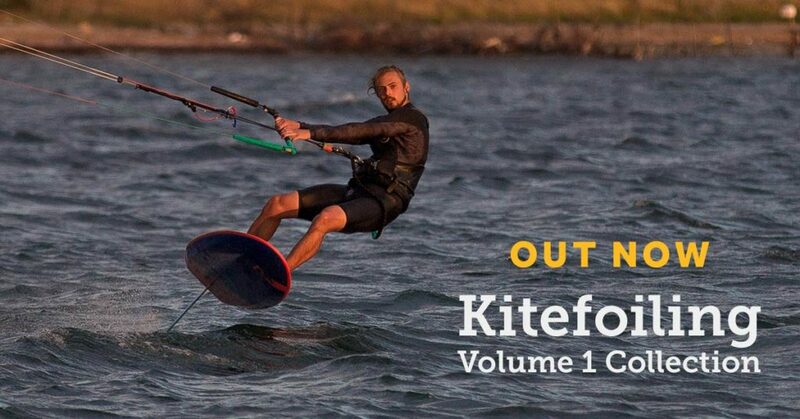 I’ve discussed this before in my 3 tips for your day on a hydrofoil but as I work on the new videos, teach new people to foil and watch others learning on their own, it’s obvious how important, but often overlooked, this vital stage of learning is for everyone. I can’t stress this enough, for at least your first hour your mission is to keep the board on the water, the foil fully submerged all the time. If the foil raises out of the water you are on failing, you are doing something wrong. To succeed, your priority is understanding how to get the foil back down under the water (ie. sheet out, bend your legs and get your shoulders over your front leg). You will learn a lot of skills during this process, all vital when it comes to riding on the foil. Rushing to pop up and foil is what leads to nasty crashes and seething frustration! I recently taught a friend who spent his first hour getting used to water starting and riding along, and every time he inadvertently came up on the foil I told him what to do to get it back down (we were using BBTalkin headsets). I was strict but he listened and followed the plan. After that first hour he’d had a few pretty gentle crashes and was riding back and forth holding his ground. At this point, we started experimenting with popping up onto the foil and riding for short periods and then choosing to drop back down off the foil. At the end of the two hours, he was riding on the foil, in both directions for 20m or so and had very few crashes. His comments afterwards “I never would have spent so long riding off the foil if you hadn’t kept forcing me to do it, I’d still be struggling to simply ride along if I don’t this on my own”. Now I don’t mean to boast about my coaching skills (but if you want a session, you can check out our Live Coaching courses) but instead, please take away from this the importance of that initial focus – nothing else matters – ride off the foil! 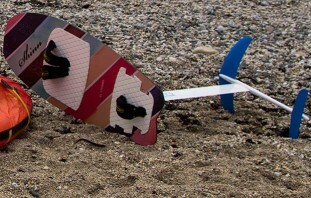 Ride with just enough power to get you up on the board but you might still need to fly the kite to stay riding. 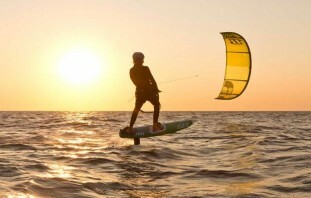 There is no shame in riding off the foil, ignore your ego and eagerness to give riding the foil ago, and it will speed up your progression in the long run. If you want to be the first to know when the new foiling videos are released, sign up for the foil launch mailing list.and look out for another Road to Release diary post next week. Have you got any experiences of learning to foil or specific techniques using the off the foil option? If so let us know in the comments.